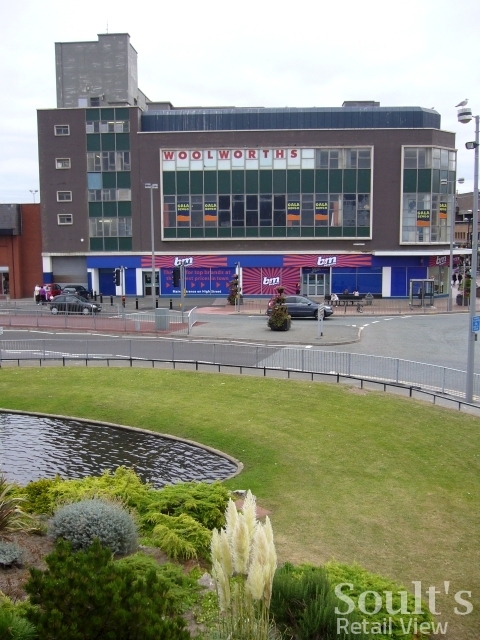 While Llandudno mulls the loss of its Alworths, the former Woolworths in nearby Rhyl is trying to make an unexpected comeback. 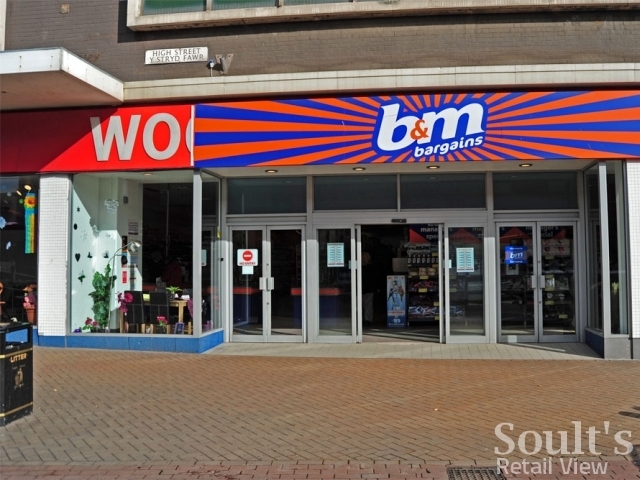 As captured by Dave Roberts, above, part of the B&M Bargains sign has fallen off, exposing the old Woolworths signage underneath. 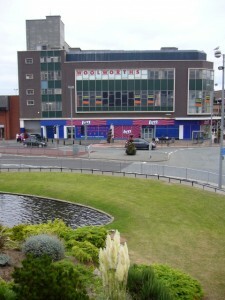 Perhaps the store’s High Street frontage is taking a leaf out of the West Parade side (below), where I noted the still-present Woolworths signage when I visited eighteen months ago. As my George Rye example from August 2009 showed, fallen-off signs are often fun in revealing little bits of retail history that might otherwise be forgotten. 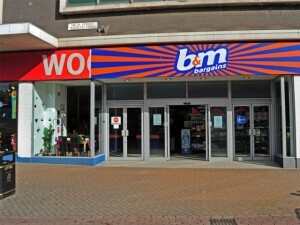 In this particular case, the exposed Woolies sign also reminds us of why B&M is succeeding where Woolies failed – by minimising its costs, and doing as little as necessary to get its new stores open and trading in record time.